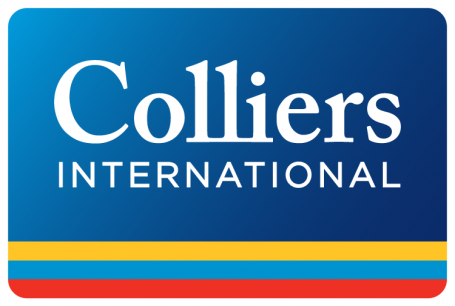 LONDON, July 22, 2015 – Cross-Border capital investment throughout European real estate increased by 30 per cent during the first half of 2015, to €129 billion compared to the first half of 2014, according to Colliers International research published this week. Offices were the most traded at €43 billion; but retail was the fastest growing (+57 per cent to €38 billion) commercial sector, reflecting the consolidation within the shopping centres listed industry. Richard Divall, Colliers International EMEA Head of Cross Border Capital Markets, commented: “These results, coupled with the new capital sources targeting Europe, ultra-low rates and the continuing monetary stimulus all point to yet another strong year for European property. “Transactions suggest cross-border capital continues to move up the risk curve in the search for yields, but with overseas investors in particular keeping an eye on the Greek situation and local political developments. ASIAN INSURERS BUY IN LONDON: The deregulation of outbound investment in China and Taiwan, coupled with ultra-low yields in key Asian gateway cities, has seen their insurance companies ramp up their investment into the European property market, with London as preferred destination; followed by the German cities, Madrid and Italy. At the same time there are signs of cash-rich Asian developers and first tier pension funds investigating regional UK markets but scale still remains an issue with residential and student housing as preferred sectors. ASIAN CAPITAL WIDENS ITS HORIZONS: While the threat of a Greek exit has made some Asian investors more cautious, at least temporarily, we continue to see sovereign wealth funds (SWF’s) and Asian conglomerates broadening their investment ‎locations and sectors across continental Europe by either partnering with local asset managers or setting up platforms. ITALY BACK ON THE MAP: At over €5.5 billion in H1 2015 (+162 per cent y-o-y), transactions in Italy outpaced those in other key ‘recovering’ economies (Ireland, Spain and the Netherlands). While volumes were boosted by one-off transaction (Qatari in Milan’s Porta Nuova), the country is now attracting new entrants and a more diverse mix of capital, both institutional and opportunistic. The first sales from Italian funds are also contributing to greater liquidity. EUROPEAN INSTITUTIONS LOOK AT TIER 2 CITIES: European institutional investors continue to focus primarily on non-core properties in Tier 1 cities and Tier 2 cities in Western Europe with good fundamentals. WEAK EURO UNDERPINS US INVESTMENT: The weakening of the euro continues to attract investors from the US, with North Star Realty Finance one of the most active buyers of late. NORDICS IN THE SPOTLIGHT: In particular, US equity funds made a splash in the Nordics, with Starwood, Colony Capital, WP Carey and Round Hill leading the charge.